This was inspired at the time by the work that Owen Taylor at Red Hat had done on Re-interact. You can still watch a screencast of what it looked like. 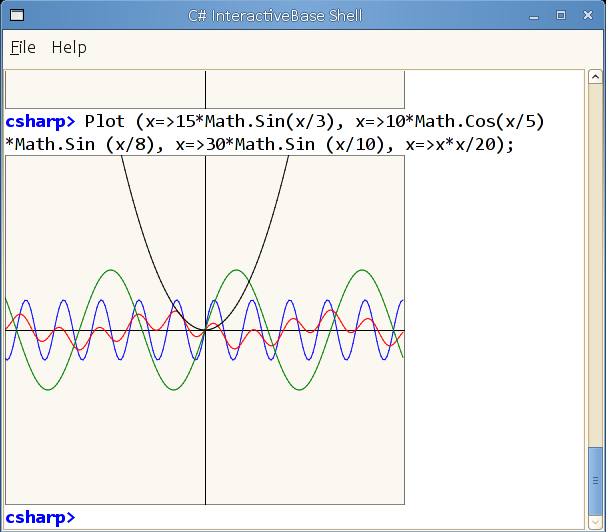 At the time, Re-interact took some ideas from IPython and it seems like they are both inspired to some extent by Mathematica's interactive window. Re-interact in particular introduced a brilliant idea, which was that users could go back in history, edit the previous expressions and the entire buffer would be re-evaluated. This idea lives on in Apple's Playgrounds for Swift. But while these were interesting for trying out ideas and learning C#, they are not very useful for day to day work. We found that what our developers needed was a full C# REPL that was connected to the application they were running on, so they could experiment with their UI live. This is when we introduced Xamarin's Inspector. 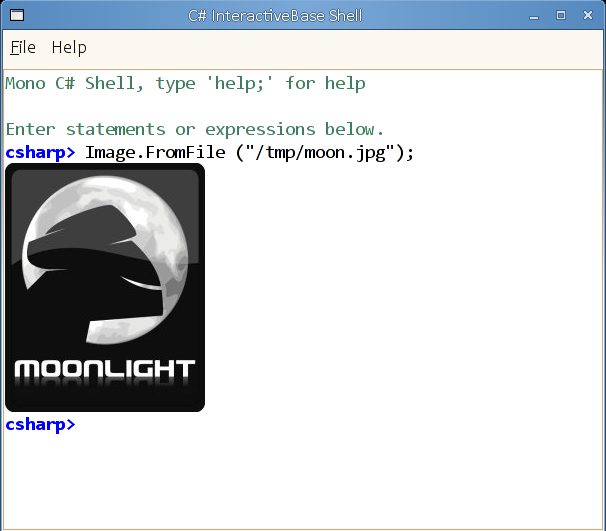 We took the existing engine and changed the way you interacted with C#. Up until now, we had been powered by Mono's C# compiler and while it has served us well for many years, it pales in comparison with the services that we could get out of Microsoft's Roslyn. Our code completion and error reporting were limited and the model did not translate too well to F#. 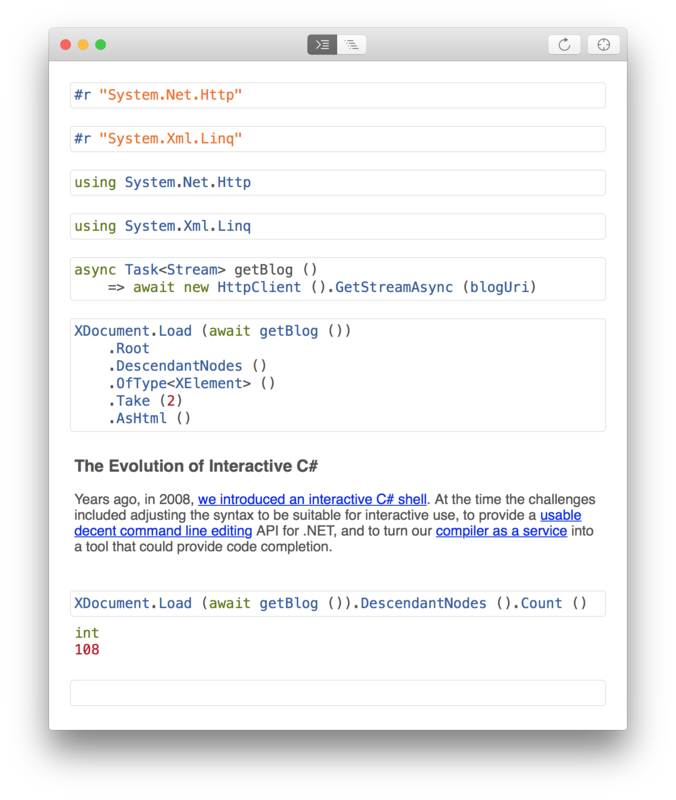 With Frank Krueger's Continuous engine to see your changes live for your C# code.